The concept of Final Expense insurance is straightforward. You are buying a plan similar to whole-life coverage but with the sole purpose of paying the expenses that deal with funeral service costs, hearse fees, flowers, burial plots and more. In addition to these costs, Final Expense insurance can also be used to pay off debts that remain pending at the time of death. It is possible to pay outstanding credit card debts or mortgage repayments until the estate is settled through probate. Get in contact with your local licensing bureau for insurance and be certain that your chosen agent has the correct license to conduct business in your location. You may also need to find out if there are any complaints lodged against the company that you are going to do business with. Those interested in Final Expense insurance plans, should speak to their family regarding the details. It is important that those involved understand the terms of the policy and what is to happen once a claim is made. Explaining your choices will eradicate some of the confusion that could arise after the policyholder's death if relatives are not familiar with the policy. Who Buys Final Expense Insurance? As people approach middle age, final expenses become more of a consideration. As you reach 50, it is likely that close relatives will be nearing their death and the cost becomes all too apparent. It is often those whose term life insurance policy has expired, is near expiry, or have no insurance plan in place that seek final expense insurance. A Final Expense policy can be bought without attending a medical exam at very reasonable rates, due to the low face value. They are therefore ideal for people in the senior age group who may have trouble sourcing affordable plans elsewhere due to pre-existing conditions. Those in the senior age bracket will have the experience of having looked after their families for a lifetime. The last thing they want is to leave behind final expenses that usually run into thousands of dollars. This concern makes for a highly important feature of the life insurance industry. Insurance agents capitalize on this very necessary service and the market is huge. This means that competition is high and great deals can be found on Final Expense Insurance. Final Expense and Burial Insurance policies come with a much lower face value than their whole life insurance counterpart. This is because they are only intended to cover the arrangements immediately concerned with the passing of a person, not for those they leave behind. Final expense policies will usually cost from $5,000 to $50,000, whereas whole life insurance can cost between $250,000 and $1,000,000. How Much Final Expense Insurance is Enough? 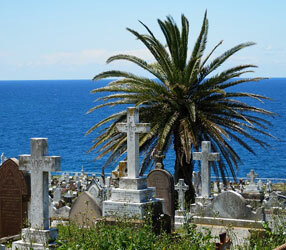 Before entering into a final expense plan, it is a good idea to know just what type of funeral you wish to have. You can then discuss your requirements with the beneficiary on the policy to make sure all loose ends are tied. Often people wish to assist another who is nearing their death to buy a policy. In this instance, it is a good idea to consult with a funeral service to discuss their final arrangements. This will help you and the policyholder get a good idea as to the costs involved, which in turn will help you arrive at a decision as to how much Final Expense insurance to buy. What kind of funeral a person may want, and at what expense, is a highly personal decision. A good agent will understand this and not push you to buy a policy that is not necessary or within your means. Generally speaking, a funeral will cost from between $1,000 and $10,000. Decisions regarding a person's death are hard for a policyholder and their family to make. It is the importance and finality of the subject that makes it so difficult, and this is exactly why these decisions need to be made. If you don't have regular life insurance, then this is a timely and affordable alternative that could really help your family out when you are gone. Think of it as a final favor that, once initiated, none of you need to think about until the time comes. It just comes down to figuring out whether you wish to opt for regular life insurance or Final Expense, whether you wish to submit a medical exam and the amount of insurance that you wish to purchase.